When a sitcom lasts eight seasons, it’s damn near impossible to bat a winner in everyone episode. And that’s okay. If we love the characters, we’d watch them do anything. That’s what this episode was, so I really don’t want to waste your time going through it. Stan Zbornak returns, announces he’s getting triple bypass surgery, and out of guilt, lets Stan stay in the house for recovery. 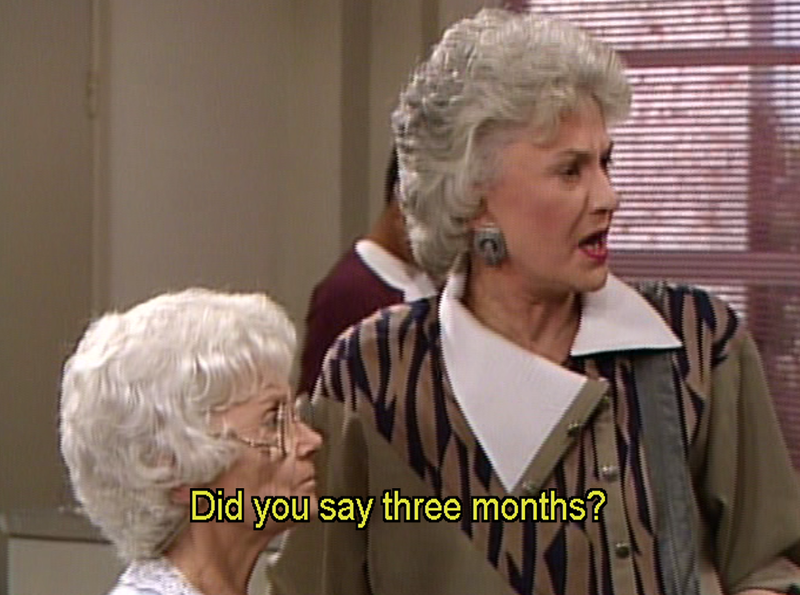 He fakes his slow recovery so he can stay longer because he misses Dorothy. Dorothy makes piece with him. I guess all you die-hard Stan fans (are there any?) love this episode. But let’s get to the important stuff. 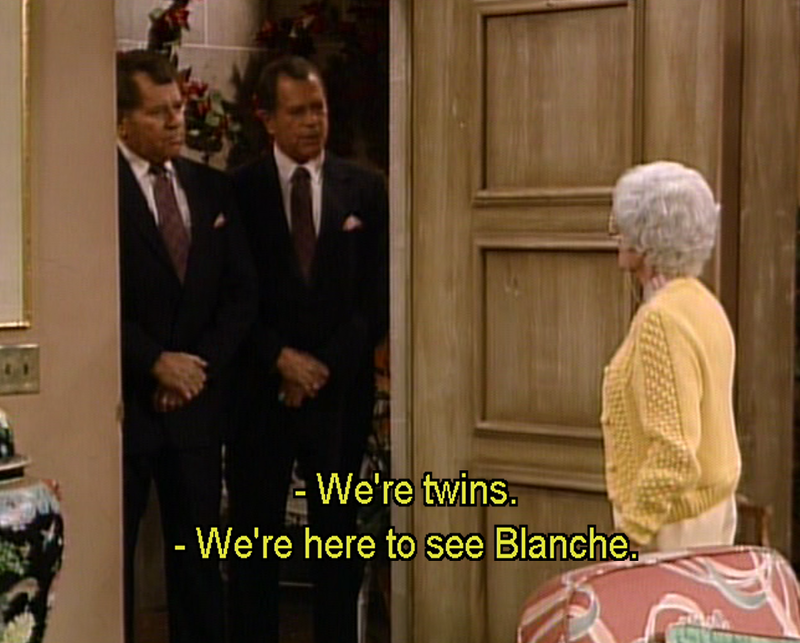 Blanche is dating one half of the world’s least charming twins. When Dorothy skips out on her double date, she basically gets double-teamed. Because they are identical twins, there’s hilarity about their identical dicks and whatnot. Dorothy is a brave pioneer into the world of accessorizing.